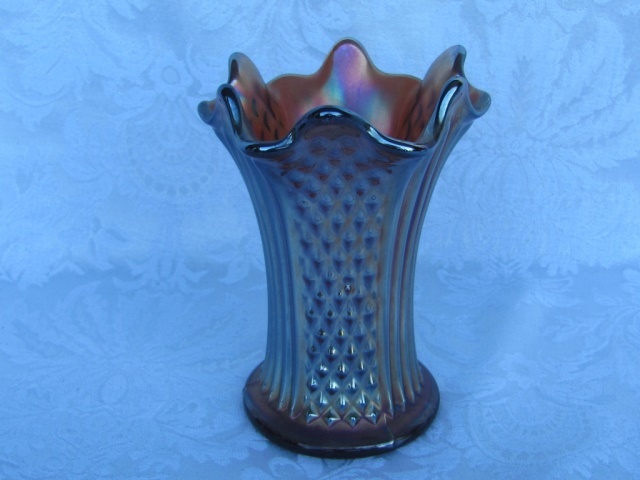 This pattern has alternating panels of vertical ribs and diamonds. 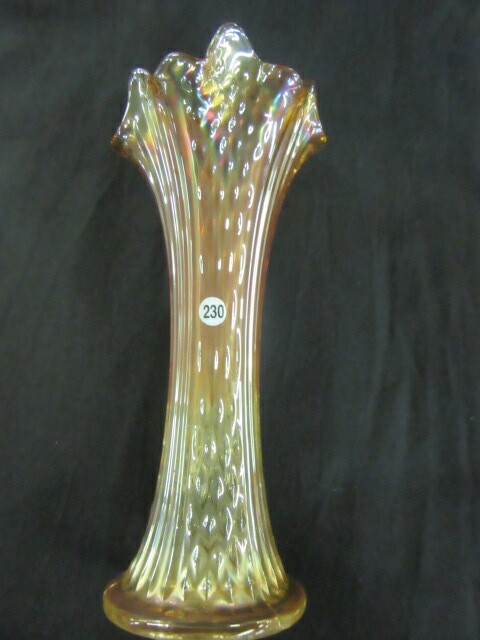 Only found in a 3 1/2 inch base. 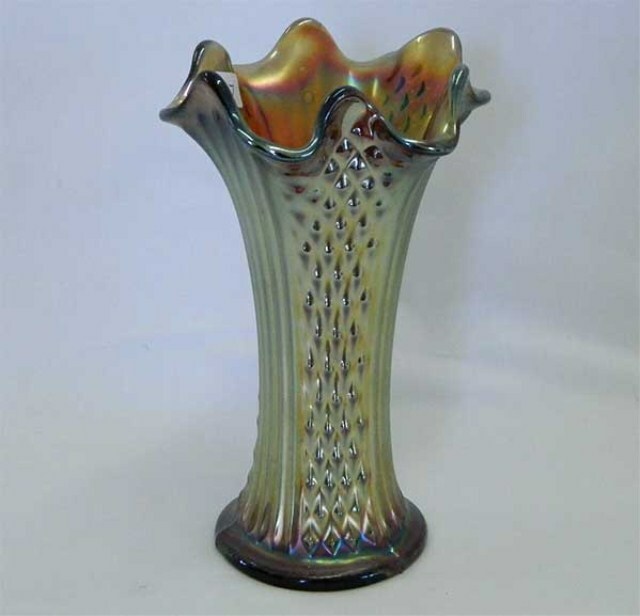 Heights are normally between 7 and 12 inches with squatty versions down to 5 inches, though there is one unswung example known that is less than 4 1/2 inches tall. 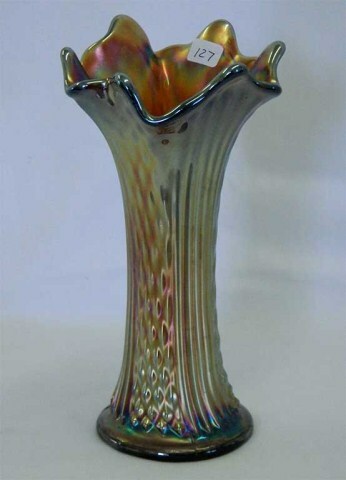 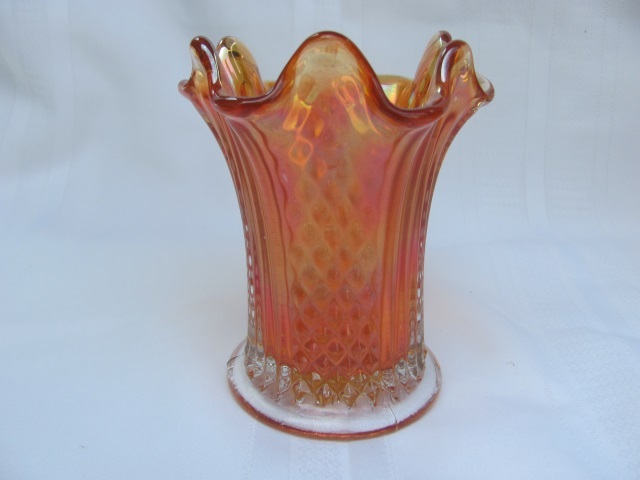 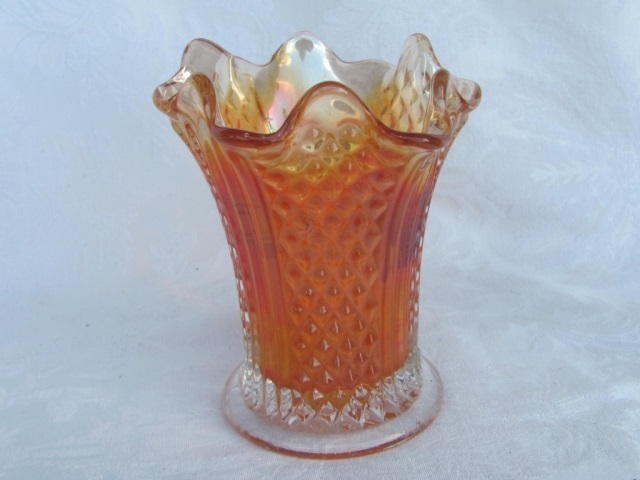 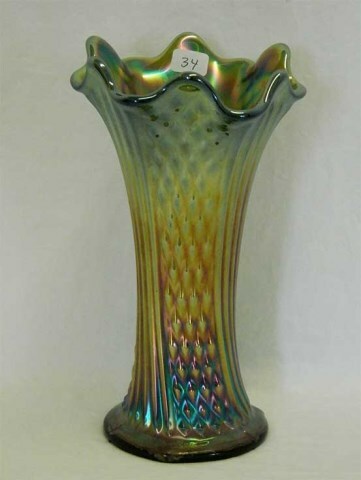 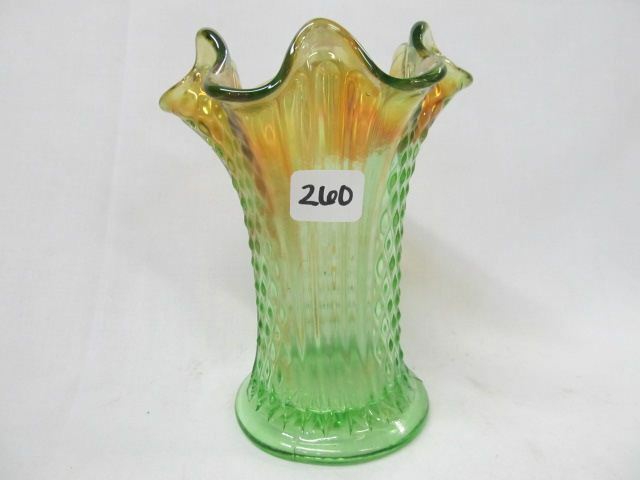 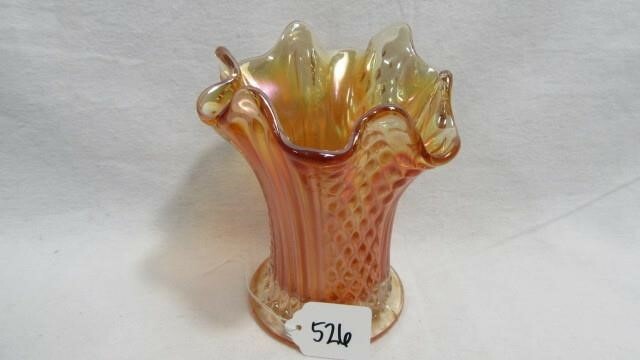 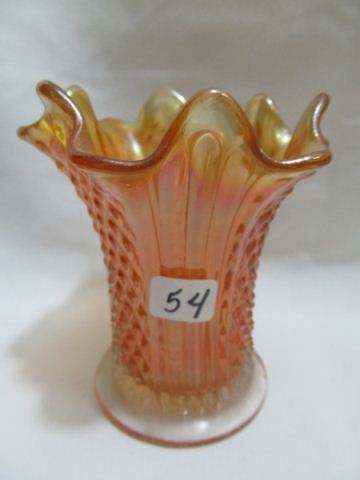 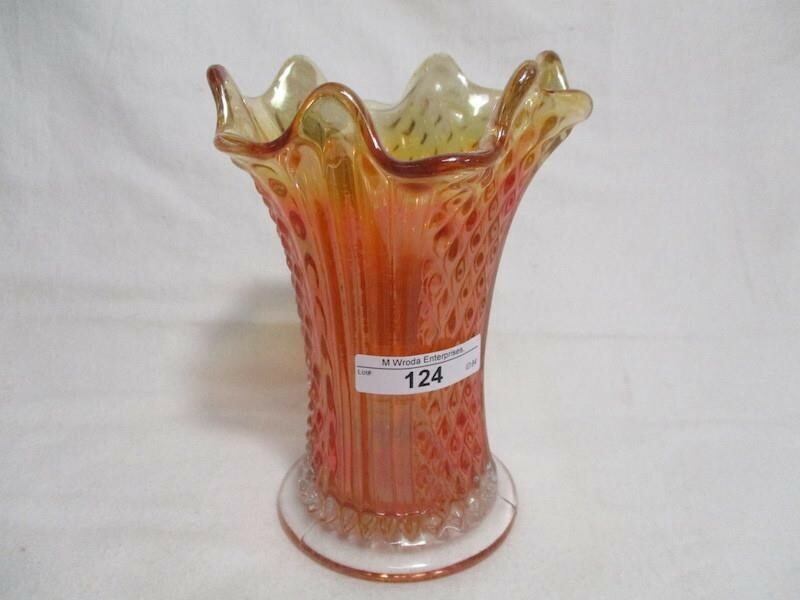 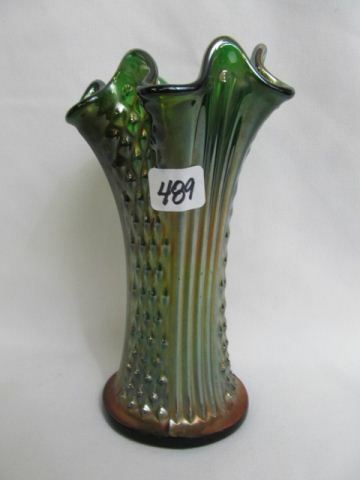 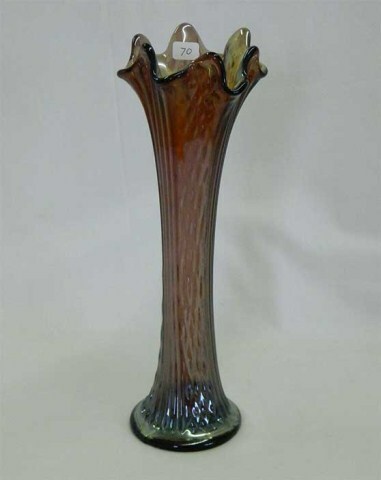 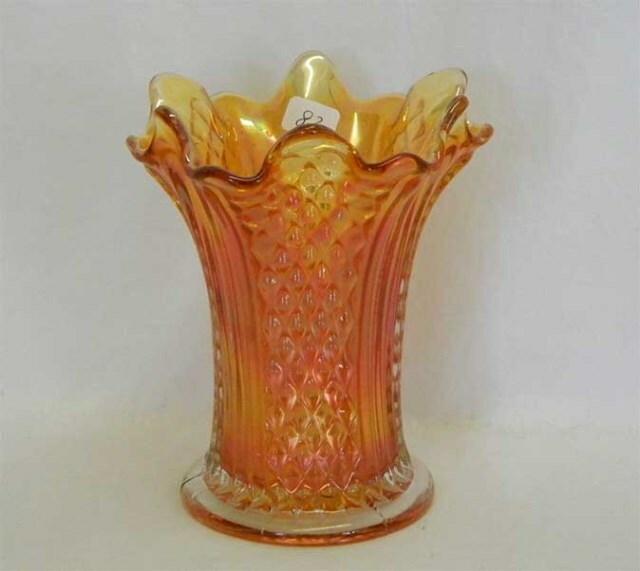 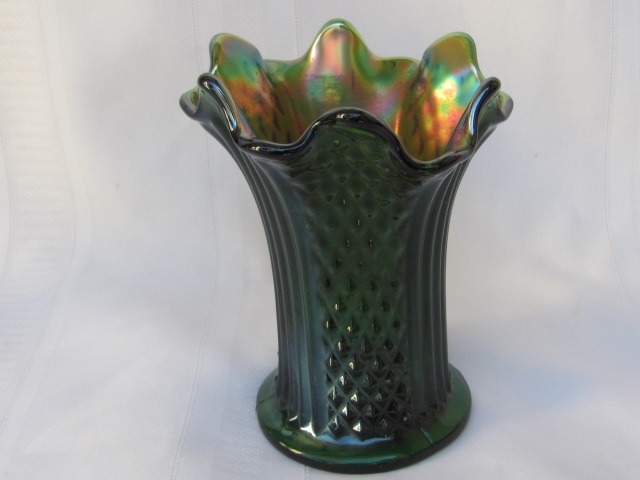 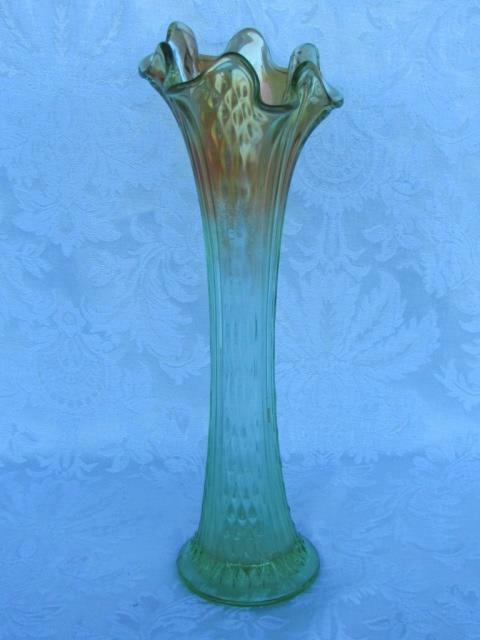 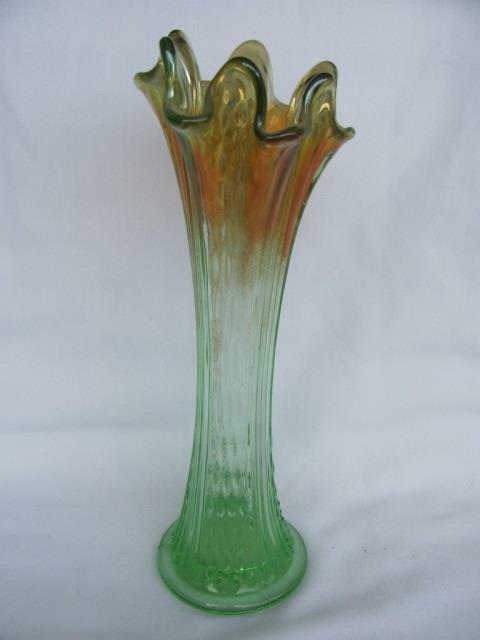 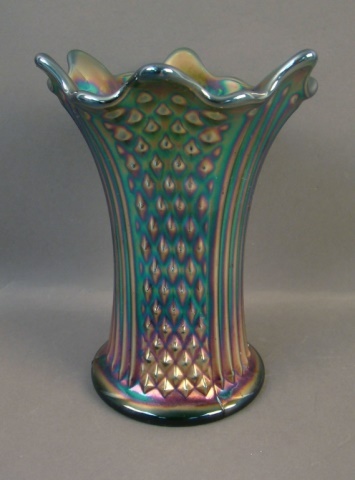 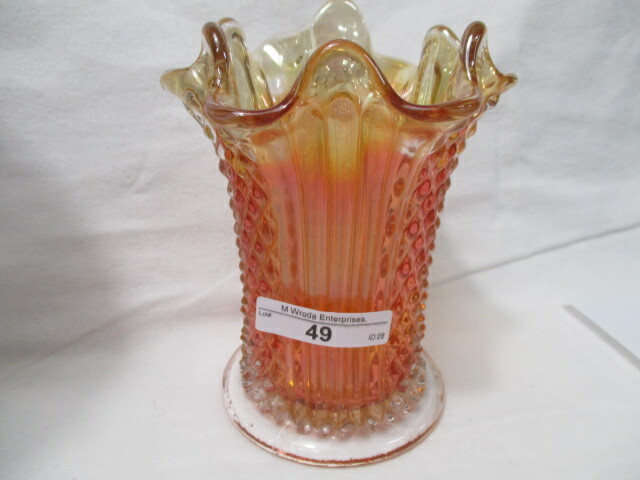 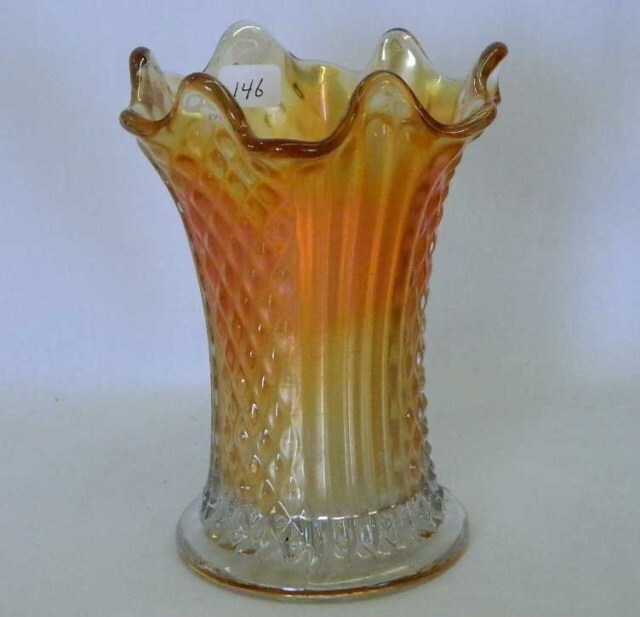 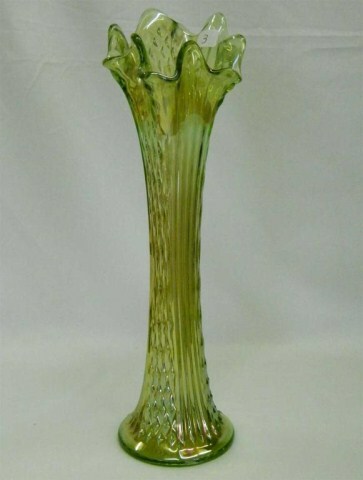 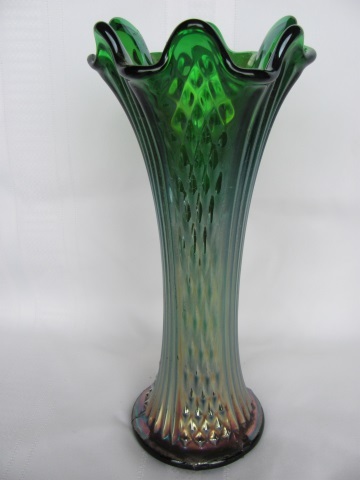 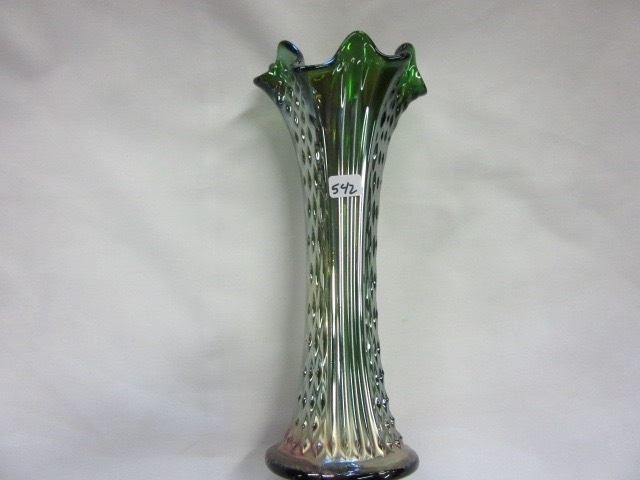 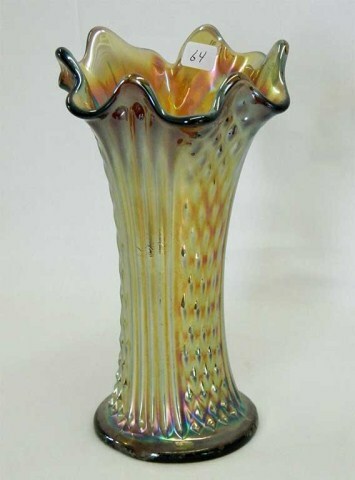 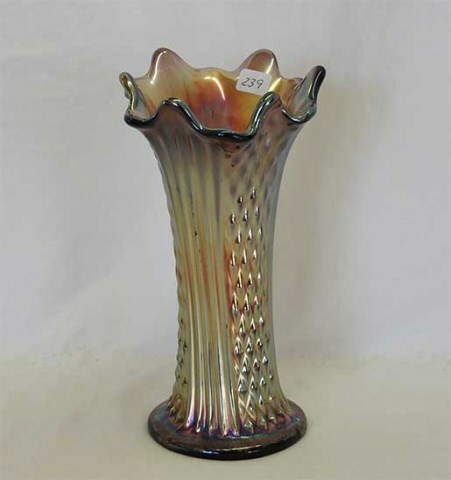 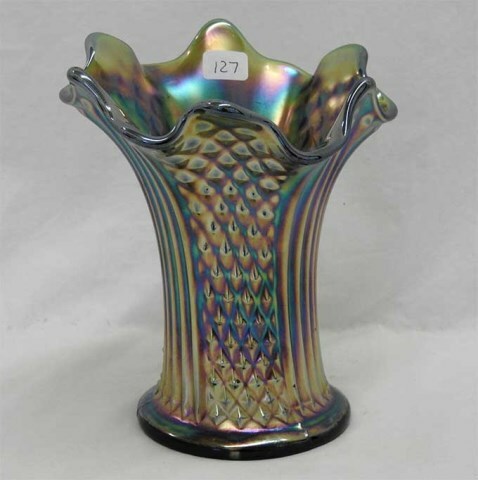 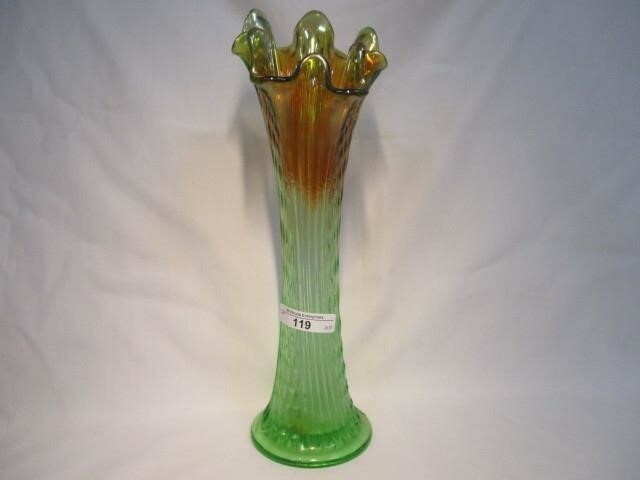 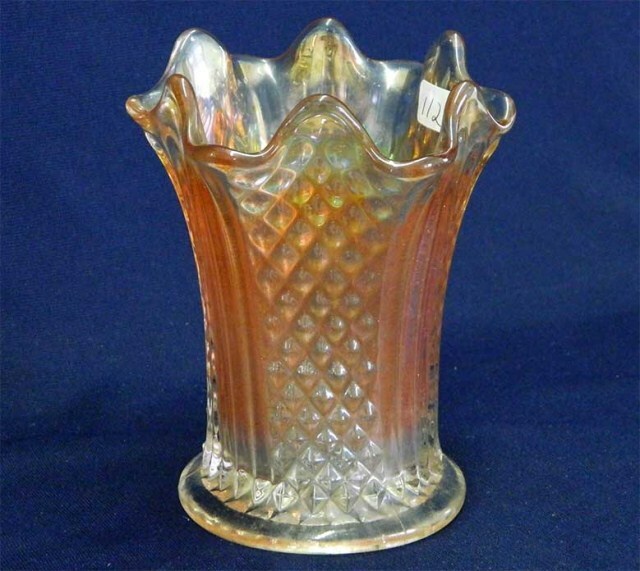 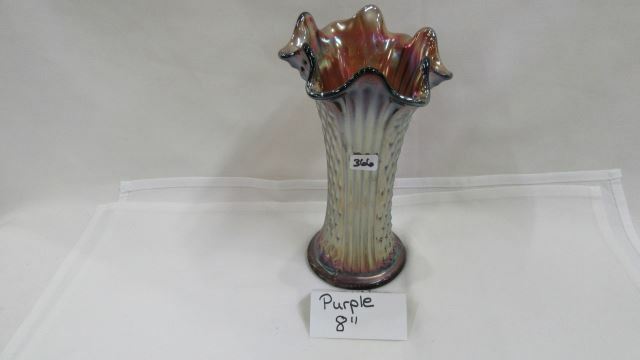 Fenton made a similar vase pattern called Nine Sixteen that also has vertical ribs and diamonds. 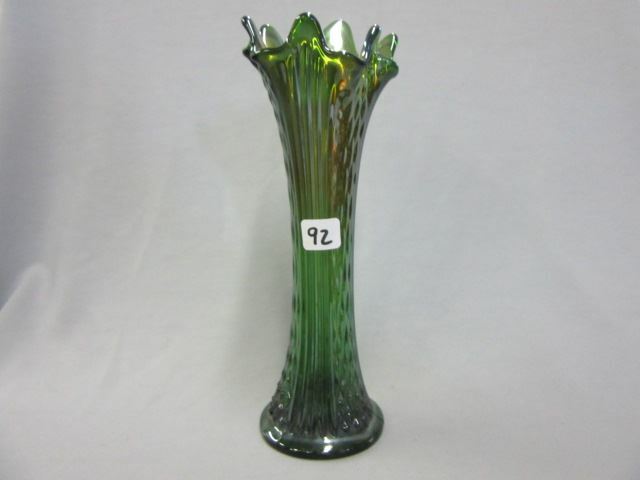 Northwood's Diamond Point vases have a pattern of just diamonds. 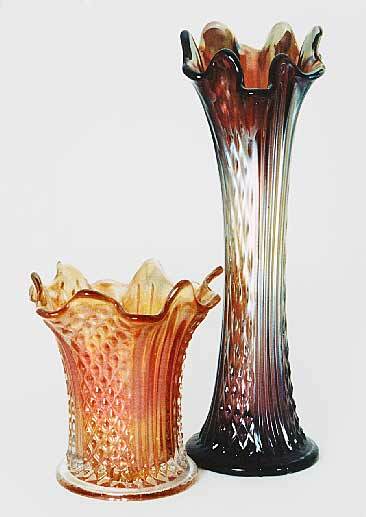 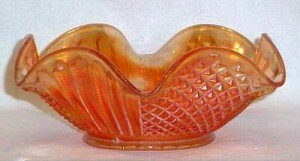 Among Fenton's first carnival patterns, Diamond Point Columns is also occasionally found in variously shaped bowls, usually in marigold, worth about $25 (pictured above on the right).